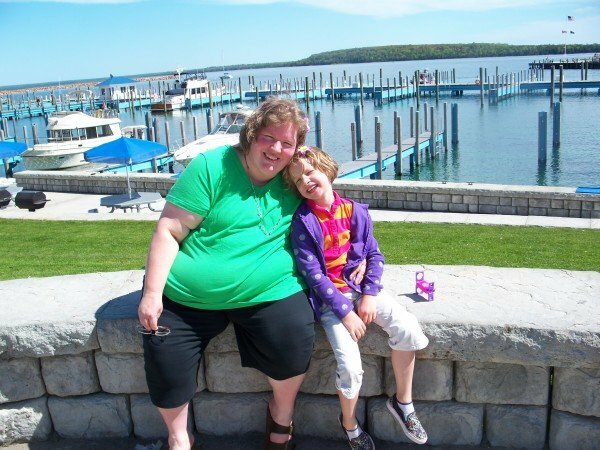 Karen Fritzemeier and her daughter Greta, age 6, at the Mackinac Island marina in Michigan on a recent family vacation. Weight loss is a process. That’s my take away for this month. Most of the work going on in me is internal. My mindset is changing, adapting, and some of my food habits along with it. God is very gentle with me. That’s good because this is slow going. One thing I know: The process only works if I work it. It would be very tempting to zone out for a day or two and pretend I’m not doing these stop/starts. 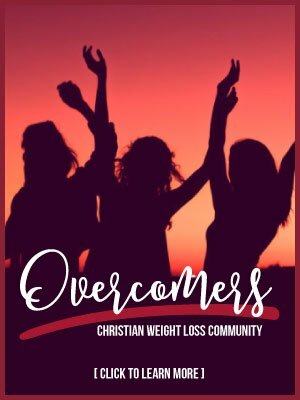 I’d love to say “I’m taking a day off from this.” Truthfully, for an hour or two, I’d like to skip thinking about what changes God might want me to implement, but I am a sugar addict. There is not a day off. There is no day off when you go to Mackinac Island in Michigan (famous for fudge). There is no day off when I go to a friend’s wedding and say, “No, thank you” when someone offers me cake. There is no day off when my husband takes me out to a nice restaurant to celebrate our wedding anniversary. I can’t pretend I’m not a sugar addict, even for one little day. 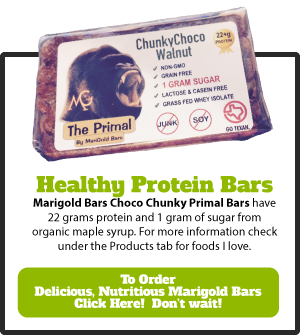 If I would eat that sample of REAL fudge, just a tiny piece of cake or dessert just this once it would be like opening a flood gate of sugary treats. After that, I would stop at a bakery and eat an entire cake by myself on the way home. Think I’m exaggerating? I’m not. I’ve done it JUST for the frosting. One thing Teresa challenged us to do in one of our weekly Sweet Change videos is to have a plan—even for when things aren’t going as planned. It’s hard to make a decision in a moment, particularly when I’m feeling overwhelmed or tired. So before I went to Mackinac, I packed some high protein snacks that I could carry in my purse. I took some time to consider scenarios that would be most tempting, such as what I would do during the car trip when others stopped for food or were snacking and what I would do when the group went into fudge shops. I tried some sugar free fudge, but it was not worth it. 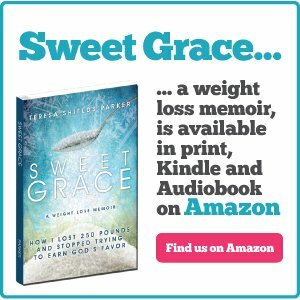 I’ve also been reading some books Teresa recommended to our group, and learned ways I can alleviate cravings by eating in such a way that keeps my blood sugar low. Even if I haven’t lost the amount of weight I hoped to lose this month, I am thankful for the progress in my mindset. God is really teaching me some things about myself. Some bondages I have from the past are being loosened. I have more hope than I’ve had in a long time. Stopped eating bagged snack food. Started drinking three liters of water daily. All weight loss this month has occurred since making this change two weeks ago. Significantly reduced carbs and grains. Increased number of exercise reps in the pool when I go to swim. I have a long ways to go, but I’m going. God is helping me. This weight loss will likely take years, but I’m into this healthy way of eating for those years and beyond. Each stop/start must be something permanent, do-able, sustainable that I can continue. But each stop/start must also be made knowing that God alone is my strength.1 It’s much more than simple willpower. I am asking, no begging His guidance to help me build new habits for my life that will continue for years to come. 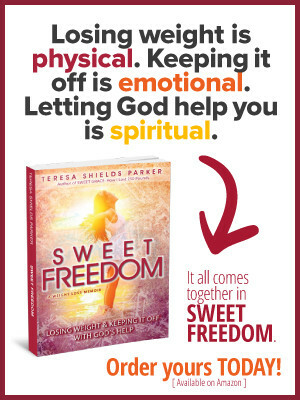 Recently I’ve had the opportunity to go through the entire #KickSugar course, and I love the fact that Teresa is making this available for FREE. 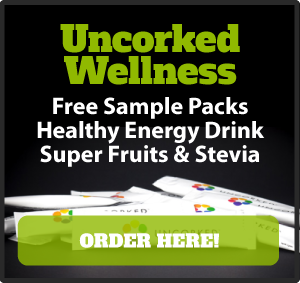 At the end she offers some truly generous gifts where you can learn even more to help you in the quest to #kicksugar. 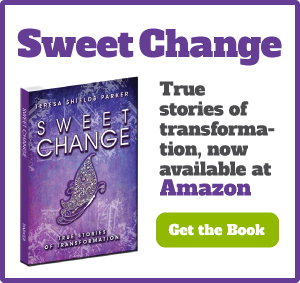 This 10-day course is a great overview and also a small preview of what it’s like to be in the Sweet Change group or the type of material you can find (much more in depth) in the Sweet Change 101 course. No disclaimers required. Teresa is not paying me to write this. I am very thankful for her mentoring, challenging and helping me to take deliberate, healthy steps for true, life-long change. Karen Fritzemeier is a homeschooling mom to two children. She and Dean have been married for nine years and live in Michigan. She blogs at http://blueandgreentogether.com/. 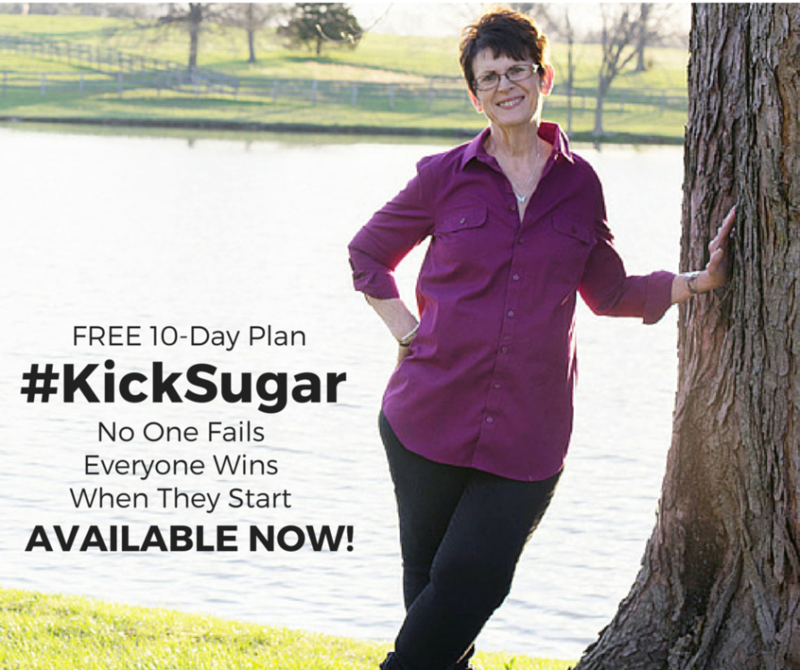 Hundreds have already signed up for the FREE #KickSugar 10-Day Plan. As a matter of fact, we overloaded our server. There’s still time for you to get in. It includes videos, recipes, information, reflection questions and FREE gifts when you finish the course. That’s right just finish the course and I will reward you. My heart is for you to be Whole, Healthy and Happy—Body, Soul and most of all, Spirit. This course is just the beginning of that journey. Sign up below.